FOR Southern Downs lure-smith Neil Hill, re-purposing beer bottle caps to catch fish was the second-best use for the junk items. He swore the way they move in the water made a bottle cap ideal for attracting freshwater fish. "Fish go for sound, shine and movement," Mr Hill said. "The scientists say fish are colour blind, so they don't see the colour the way we see it. "The studies that have been done on lures suggest they make a certain sound and that sound is what the fish are listening for and feeling in the water." 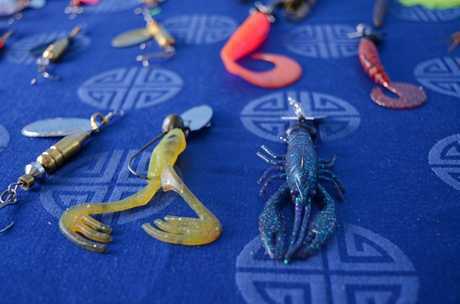 The avid fisherman learnt to make lures as a child and when he retired he turned this life-long passion into a source of income. Marketed as Hillies Spinners and Lures, they are sold in stores and markets across the Darling Downs. But it is not just beer bottle caps that Mr Hill up-cycles. 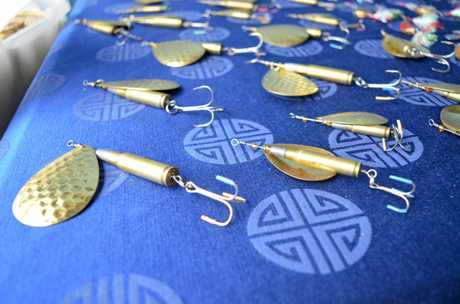 He also builds lures from old spoons, spent bullet casings and moulded rubber. Most recently Mr Hill was experimenting with a golf ball-based design but it was a long way off entering commercial production. "I have not caught a fish with it yet and I'm not going to start selling them until I do," he said. 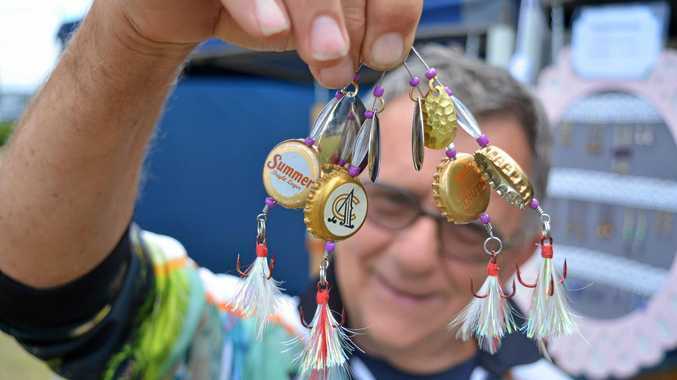 "I've got to be able to say I've caught a fish on every lure I sell." Along with giving old junk a new purpose Mr Hill's lures are cheap to make so young kids can buy them without breaking their piggy banks. 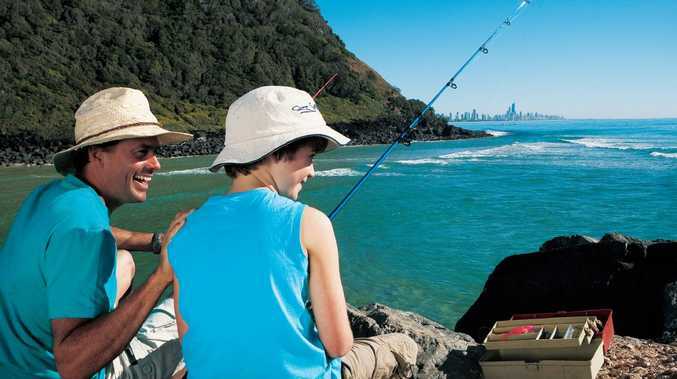 The idea was to get more young people into nature and to take up fishing. 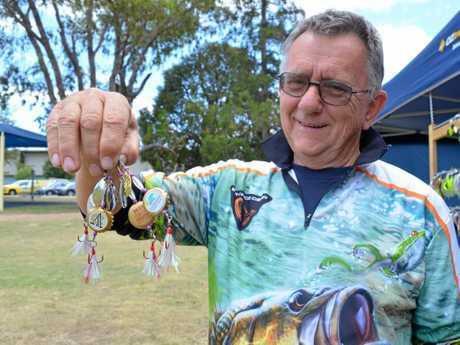 "It's a cheap way to make a lure so I can sell them to kids cheaply," Mr Hill said. "If a kid catches a fish on one of my lures and he puts a photo of it on Facebook, I give them a free lure." As for the best use for bottle caps, well Mr Hill said that was obvious. "They keep beer fresh," he said. Hillies Spinners and Lures can be purchases from Warwick's Brewing Supplies, Wattle-Doo Crafts, the Steele Rudd Corner Service Station, and at community markets across the Southern Downs.